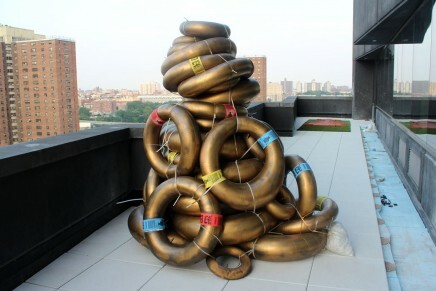 SEATTLE—The work of four black contemporary artists is on view at the Seattle Art Museum. 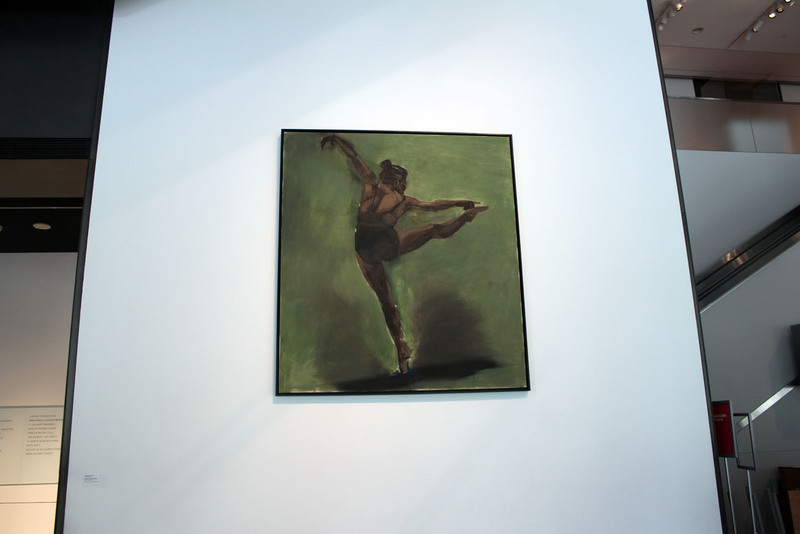 A portrait of a dancer by British-born Lynette Yiadom-Boakye is installed in the lobby adjacent to main desk where tickets are purchased. Painted with dark hues in her signature moody/contemplative style, it is instantly recognizable as her work. 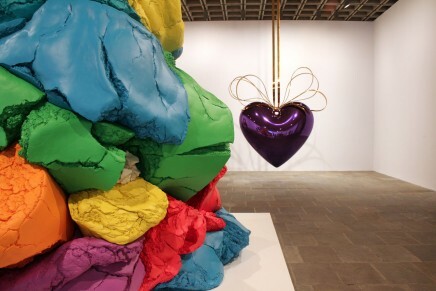 American artists Glenn Ligon and Robert Colescott (1925-2009) are on exhibit in the modern and contemporary galleries, and a tapestry by Ghanaian-born El Anatsui on loan from an anonymous donor is featured in the African gallery. 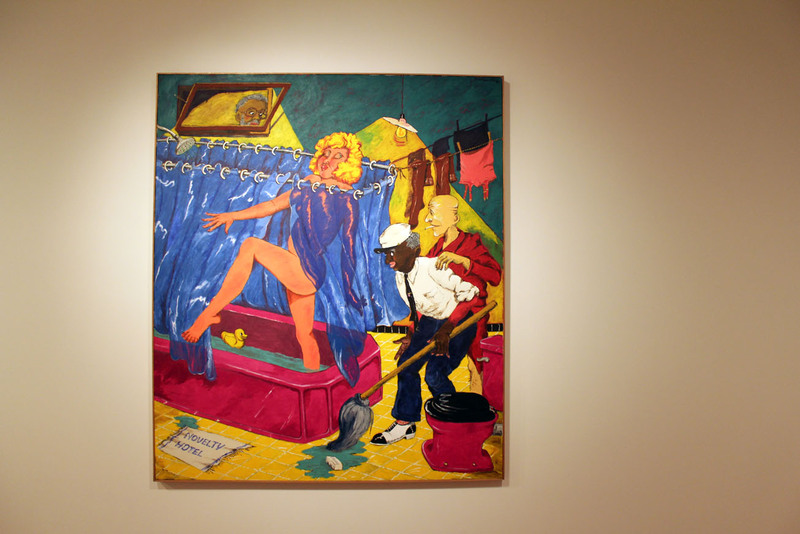 Yiadom-Boakye, Ligon and Colescott are a part of the museum’s collection, which also includes Romare Bearden, Jacob Lawrence, (1917-2000), Kara Walker, Carrie Mae Weems and a new acquisition by Kehinde Wiley. 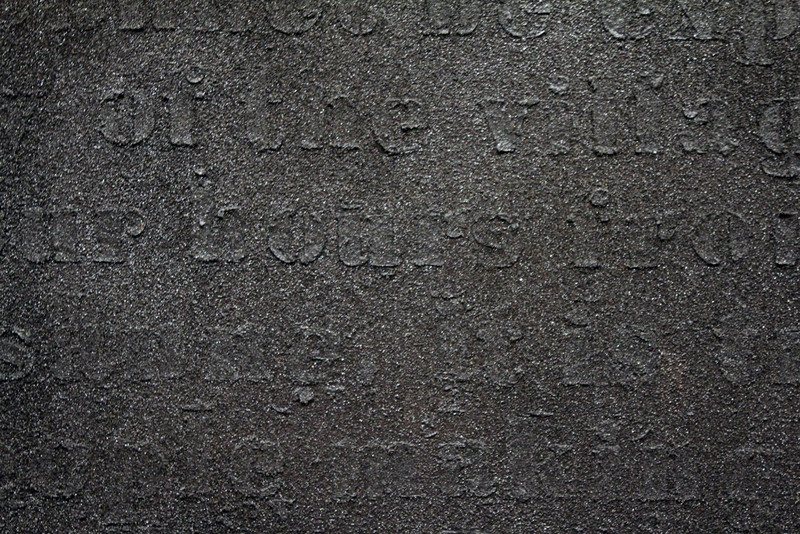 The museum has acquired 23 works by Lawrence, who lived and worked in Seattle. 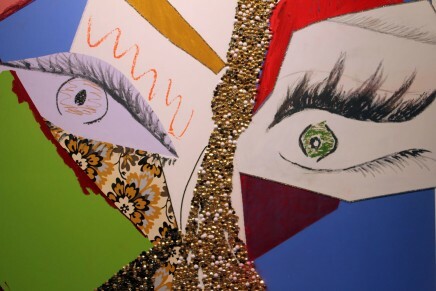 Since 2009, a biannual prize in the name of the artist and his wife, Gwendolyn Knight Lawrence (1913-2005), has been awarded to an early career artist whose work is exhibited at the museum. This year, photographer LaToya Ruby Frazier was selected and her work documenting the plight of her family and their failing hometown of Braddock, Pa., is also currently on view. 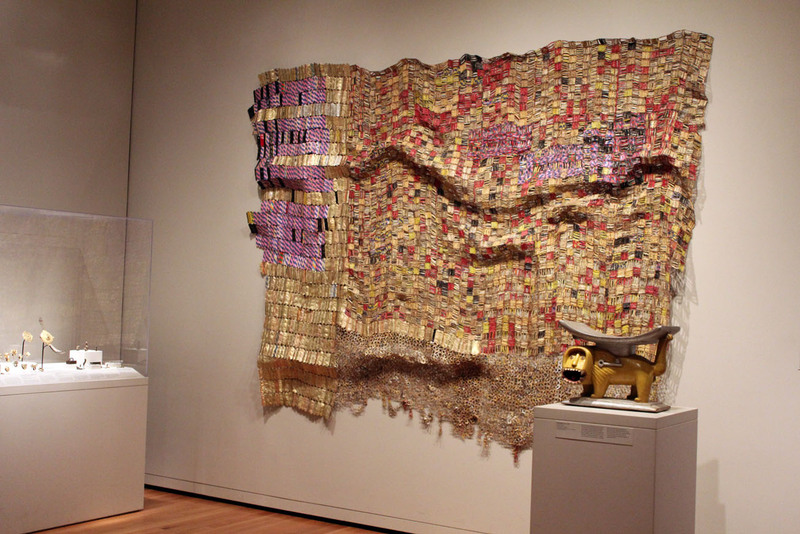 “Takpekpe (Conference),” 2006 (metal tops of bottles of liquor and cans of evaporated milk) by El Anatsui. 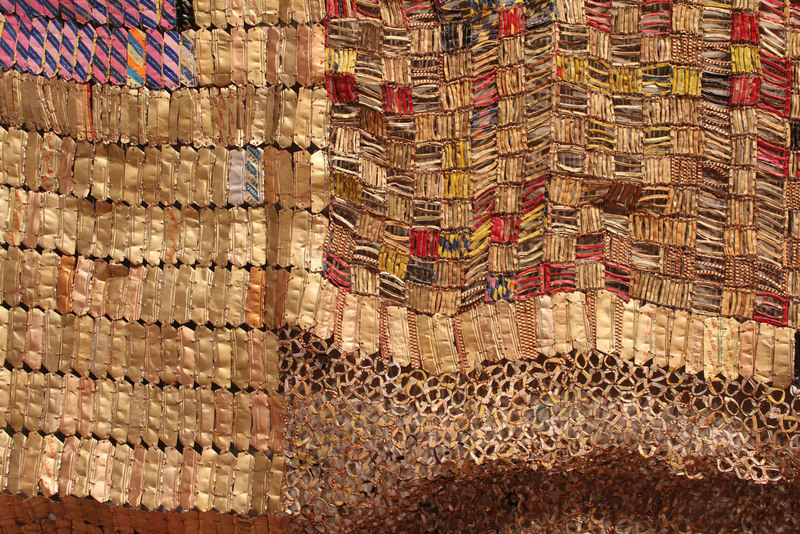 Detail of “Takpekpe (Conference)” by El Anatsui. 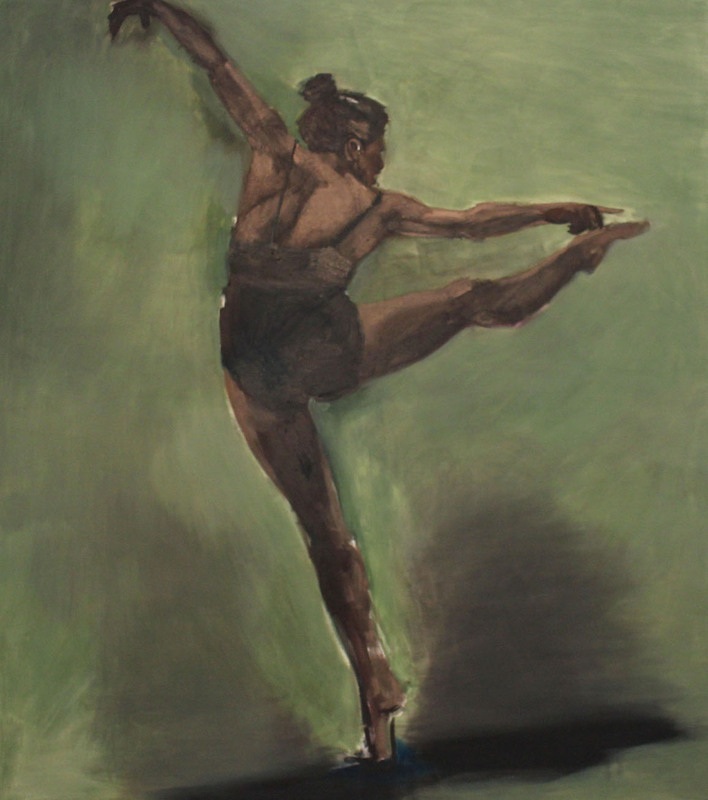 “Trapsprung,” 2013 (oil on canvas) by Lynette Yiadom-Boakye. Detail of “Trapsprung,” by Lynette Yiadom-Boakye. 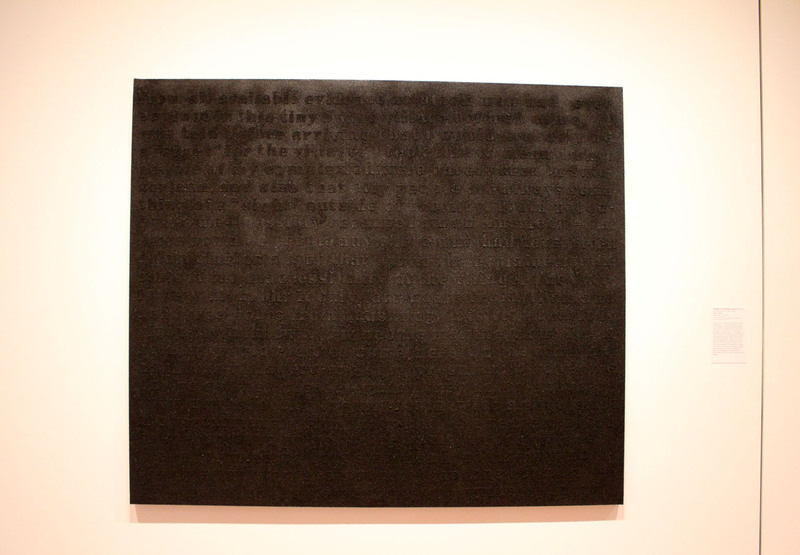 “Stranger in the Village (Excerpt) #7,” 1997 (coal dust and oil stick on linen) by Glenn Ligon. 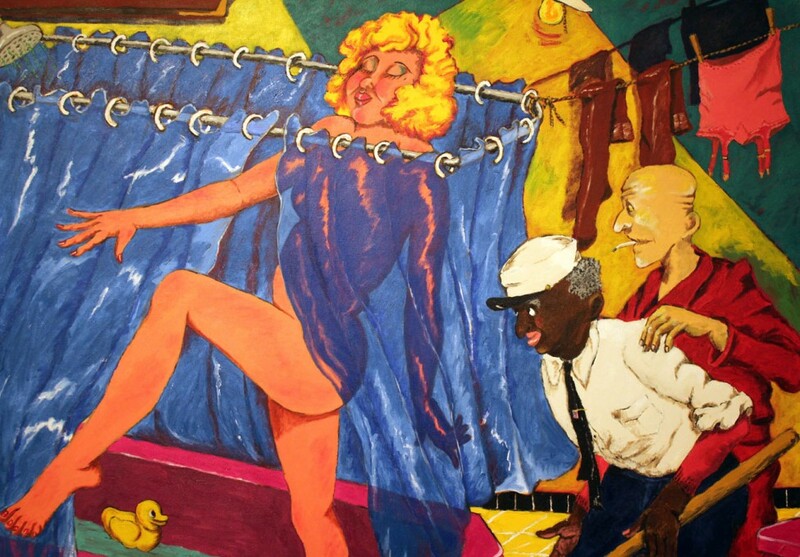 There are also two earlier works by Colescott in the museum’s collection: “Night and Day, You are the One” (1969) and “Esparanza” (1958).